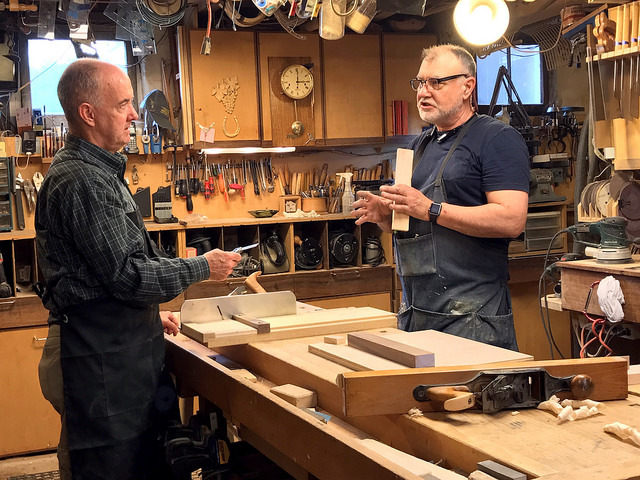 I’m now offering one-on-one lessons in woodworking focusing primarily on the design and construction of furniture and cabinets. 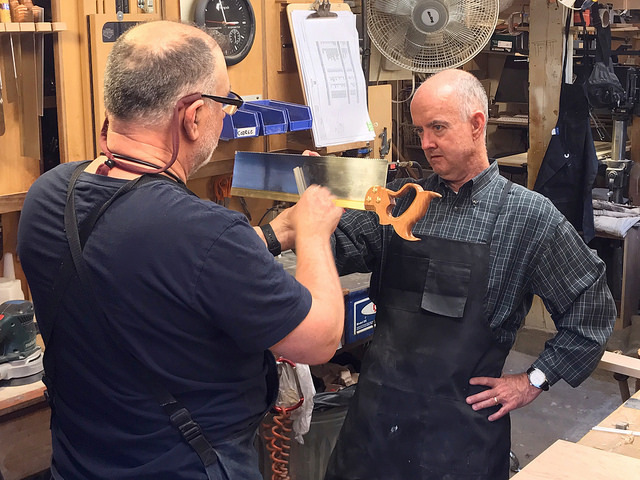 It is aimed at the woodworker who has some experience but would like to learn something new, or the complete novice who’s always had a desire to make something beautiful and useful out of wood. 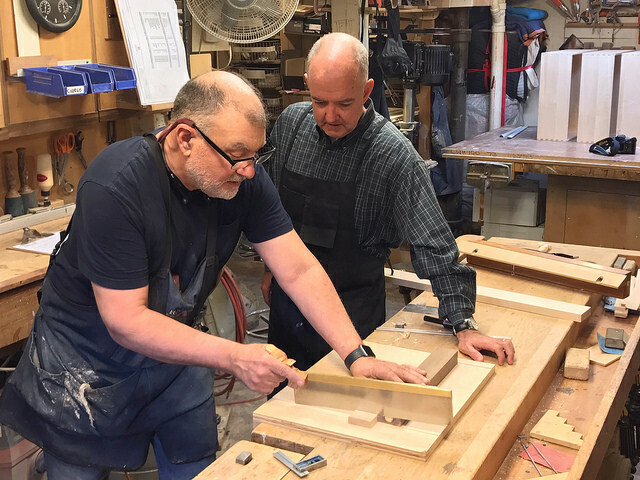 You may choose to approach a particular interest either by tackling an actual project, where you will build a piece using a variety of techniques, skills and tools, or you may choose to focus on a particular woodworking skill, like how to use hand planes and chisels, making a dovetail joint, or the many uses of the table saw. 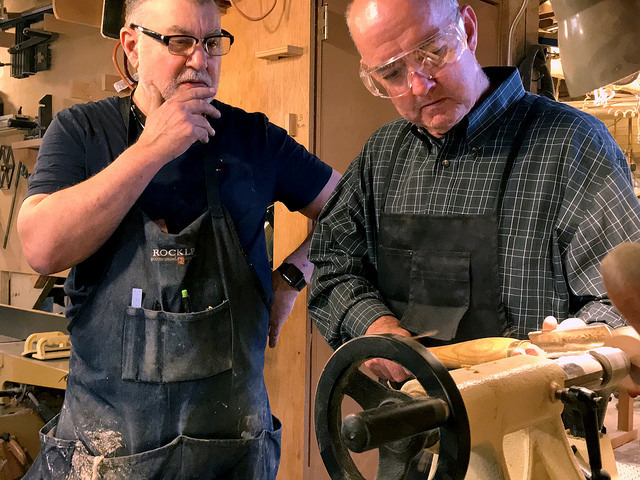 You may prefer to go “unplugged,” that is using traditional joinery techniques relying primarily on hand tools and traditional handtool techniques. This is a great choice for those who have limited space, a limited budget, but do have to the time to acquire not just a method, but a skill. Prices are $65 /one hr. lesson, and discounted for multi-lesson projects. Call, text or email me and we can talk it all over.